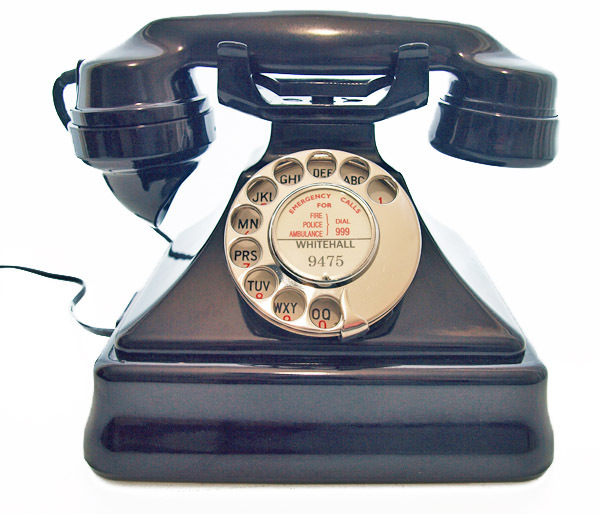 This one is a beautiful telephone. Discounted due to Non GPO markings and no base. This is one of around 25 telephones I bought 7 years ago. They were restored and ready to to be installed in a large mansion house probably around 30 years ago. They were found in the cellar having never been used and were sold on to me as a batch. I though I had sold them all but came across the last nine of which I have now stripped cleaned, polished and tested ready for sale. They were originally restored without bases and the handsets are Ericsson,Siemens and P&T. 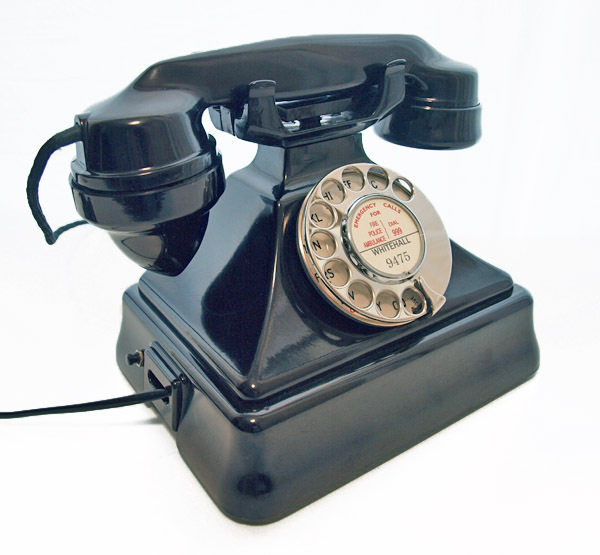 The handset cord is a round braided cord as fitted to Siemens and GEC models. 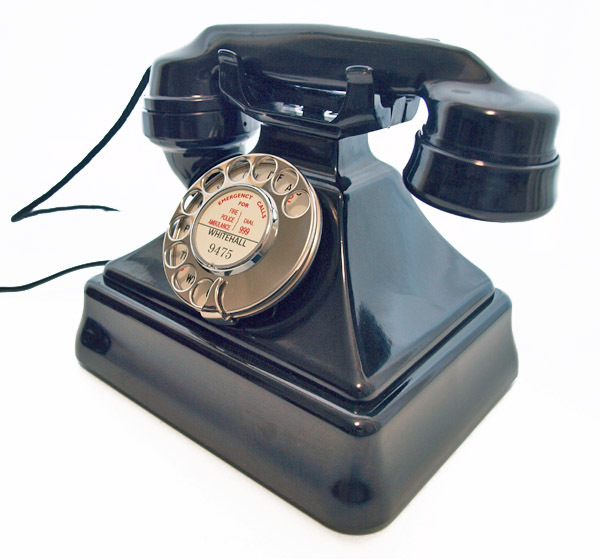 The Bakelite is very good quality and has polished up to a first class shine. I noted the dials must have been new old stock as they are perfect. It has a little button to the side that must have been for use with the large system they would have had to connect to but now has no use. 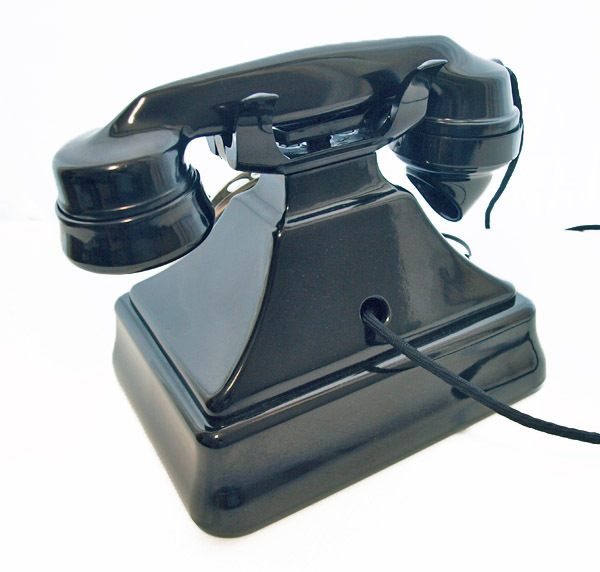 If you want to buy a very good Bakelite telephone from the 1950s then this is your chance to buy at a reasonable price. They are restored to the same degree with an electronic microphone and a lifetime of ownership guarantee but the feet a screwed directly to the base and the handset is the same model and period but marked in this case P&T C39. This one has a small crack in the bell set at the line entry as can bee seen in the photograph. This has been repaired and stabilized and so will not move. This telephone is ready to simply plug in and go. I can add a gold GPO decal to front free if you ask in the notes to us on check out. I can make a dial label with your information at no extra charge.